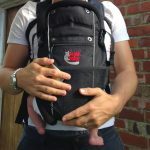 Why is it that baby carriers are, all of a sudden, more appealing to dads? #1 You can cook whilst holding the baby. 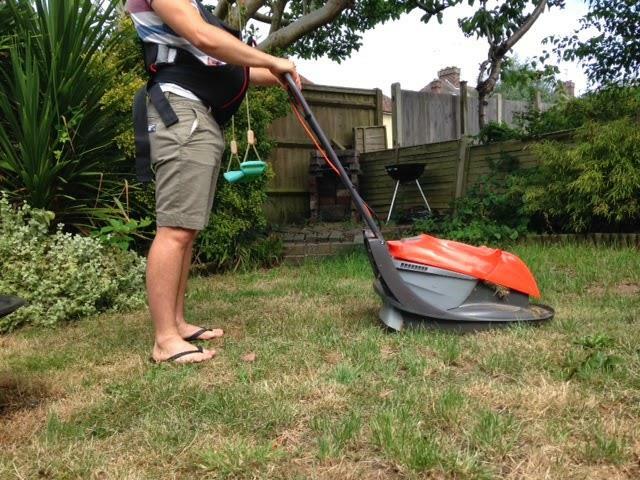 #2 You can mow the lawn whilst holding the baby. 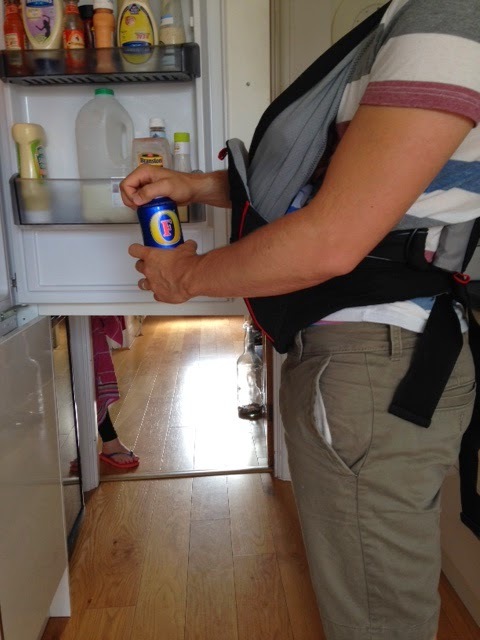 #3 You can even open a can of beer whilst holding the baby. #4 And the piece Des residence… you can have a wee whilst holding the baby. 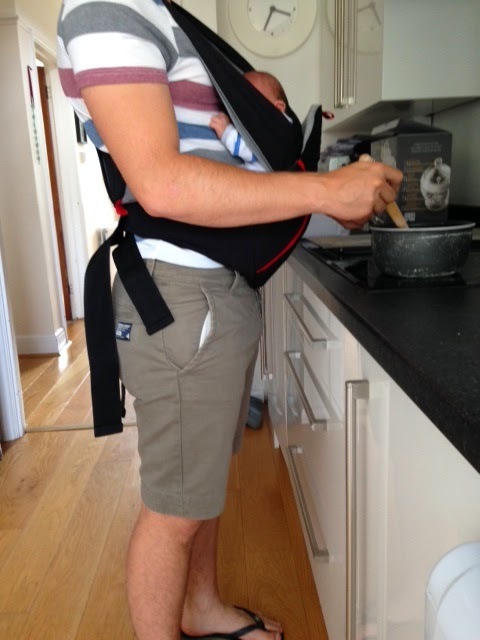 The modern, busy dad can do almost anything whilst holding the baby with the help of a good quality baby carrier. And I’m in the fortunate position to be able to test some out to find the best one. 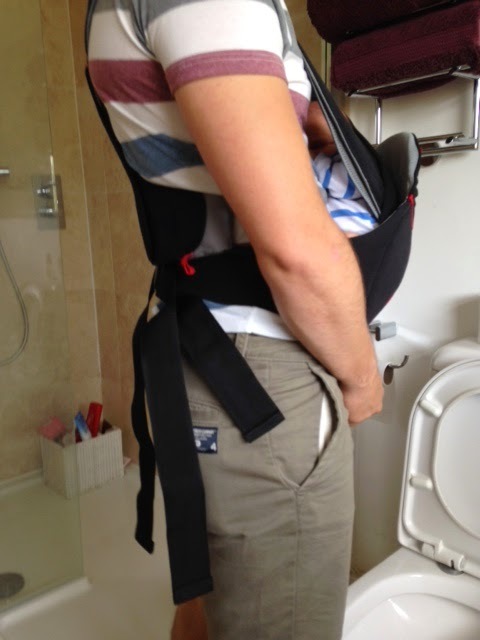 This Caboo Carrier DX, made by Close, is specifically aimed at dads. 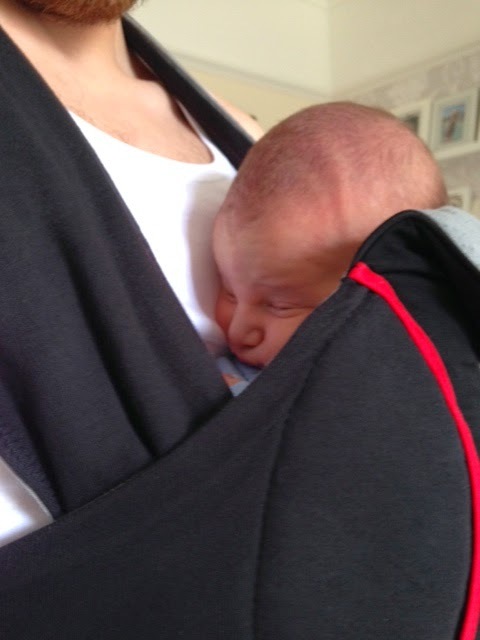 They have others in the range that are all soft carriers, but this one has taken their ‘dad focus group’ feedback and imbedded it into the design. Firstly, it’s black and red. Top marks for choosing a manly colour that you won’t be embarrassed about when walking down the road…or having a wee! (Not sure why anyone would be looking though). They’ve also adapted their other designs and added 2 heavy duty clips. When you clip them together, prepared to be satisfied by the loud and string ‘click’ that you will hear. More dad points. 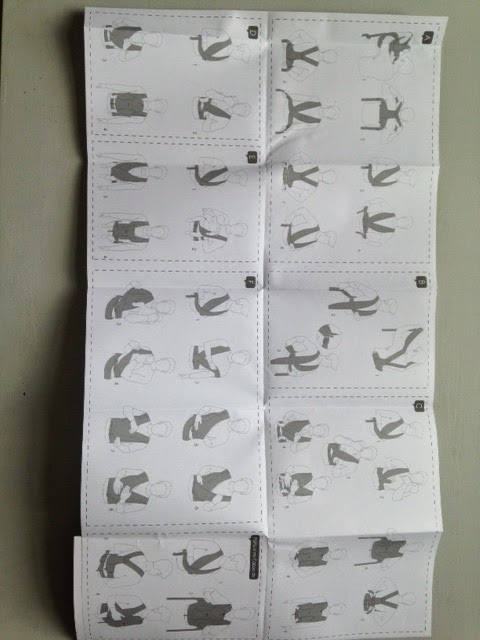 The carrier comes in 2 parts. The first part has a nice lumbar support that slips over your head with the 2, soft pieces of fabric crossing over in front of you. The crossing point should be just above your belt buckle. Once this is on, tighten or loosen the straps accordingly and let the buckling joy commence behind your back. Unless you really are ‘cack’ handed, this is pretty easy. Once this is done, you can put your baby, from newborn if you like, into the straps making sure it’s bum is sitting right on top of the crossing point. 1 leg either side and tuck the other bits in and you’re almost there. The last bit is very easy. 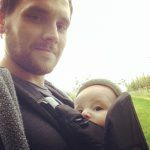 It’s like a tortoise shell that you slip over the baby’s back and again, clip the buckle behind your back and adjust the straps. There is also a little chord to tighten under the bum, just so everything is secure. Then you’re good to go. When I tested this out, it was so easy to use, I did it without input from the wife. I know! She was pretty staggered too. This carrier is really sensational. 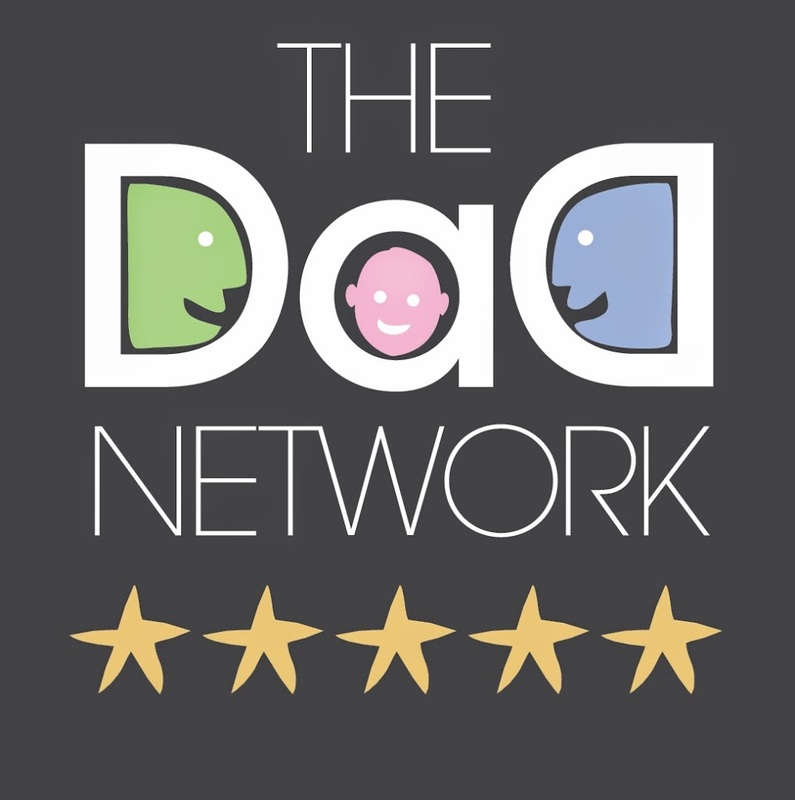 It’s small to store, looks good, easy to use, gains lot’s of dad points for strong clips and as for the instruction manual…it’s better than an Ikea flat pack! 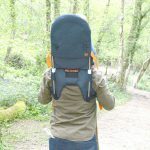 The carrier can only be worn on your front, which suits me down to the ground, but if you wanted a carrier to hike or bike with, this probably isn’t it. For those trips to the park or town or just a gentle stroll, it’s perfect. My boy is only 1 week old and I’ve been out a few times already with him. He has officially been Caboo’d! 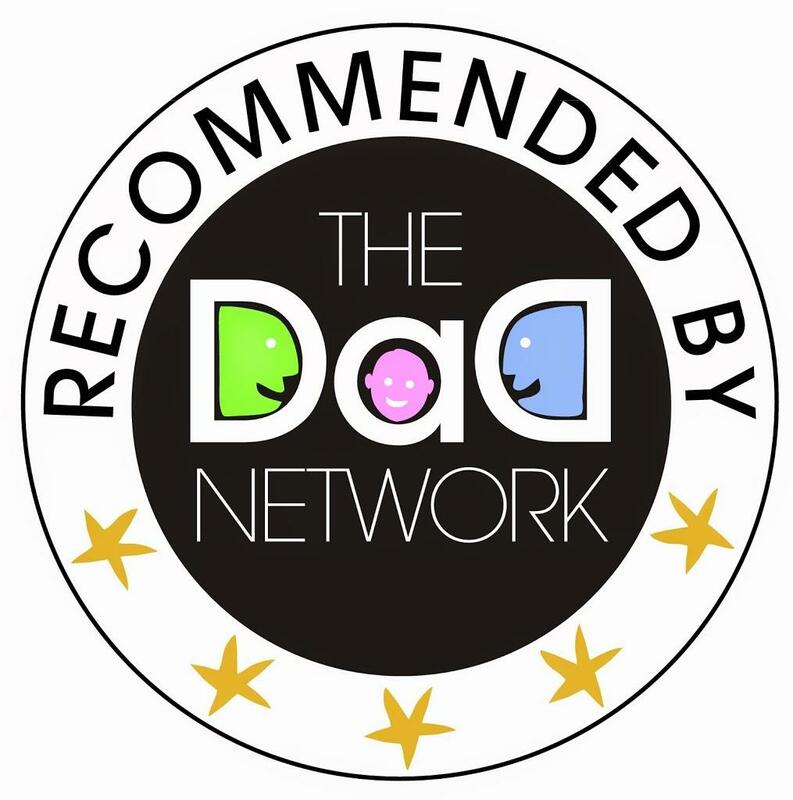 The Caboo Carrier DX receives an official Dad Network star rating of 5 / 5 stars and wins our award of recommendation. It will be comfier too as he gets heavier to carry higher closer to your centre of gravity.